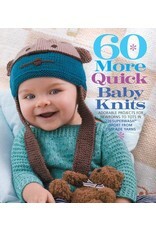 SP 60 More Quick Baby Knits - Crochet Stores Inc. State-of-the-art yarn! Innovative styles! Irresistible projects! 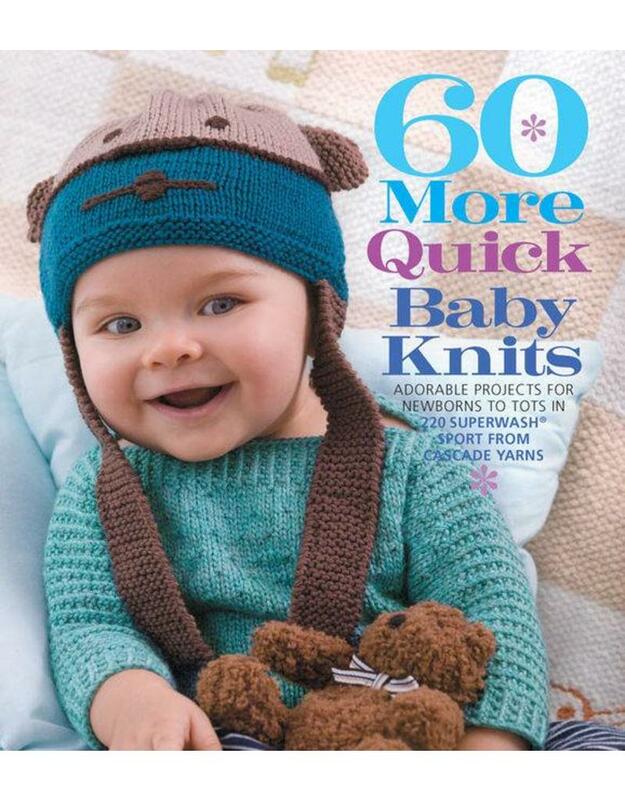 This follow-up to 60 Quick Baby Knits gives budget-minded knitters 60 more inexpensive, time-saving ways to create fabulous baby fashions. Fans of the wildly popular “60 Knits” series are already into the lighter sportweight wool, exclusively from Cascade Yarns-and new readers will welcome its many advantages. Projects include the Paris Cardigan and Birdhouse Sweater from Pat Olski, Amy Barht's Bunny Blanket, and Veronica Manno's Smart Striped Vest.